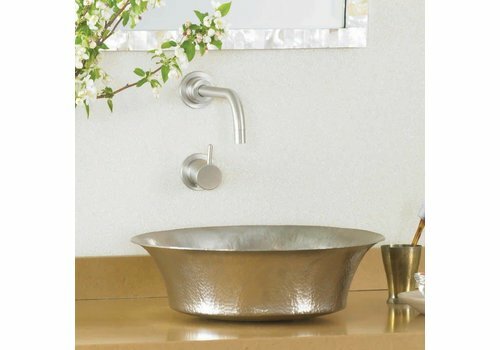 A flawless work of art. 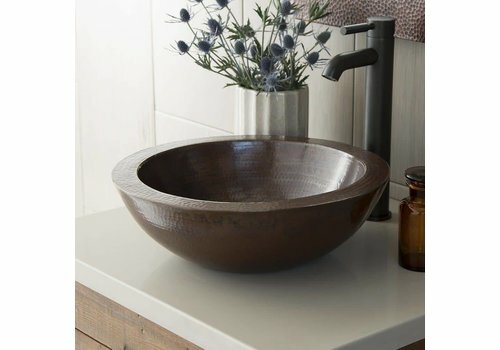 Laguna's perfectly formed halved-sphere copper vessel sink could be the only decor you need in your bathroom. 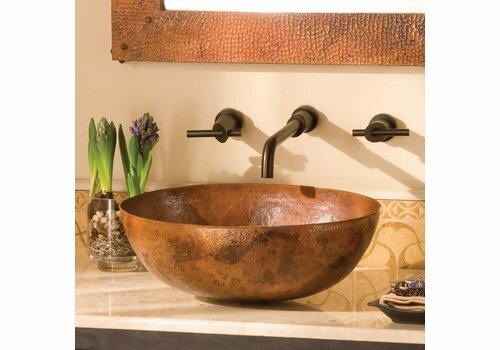 what more do you need than this hammered copper bathroom sink? 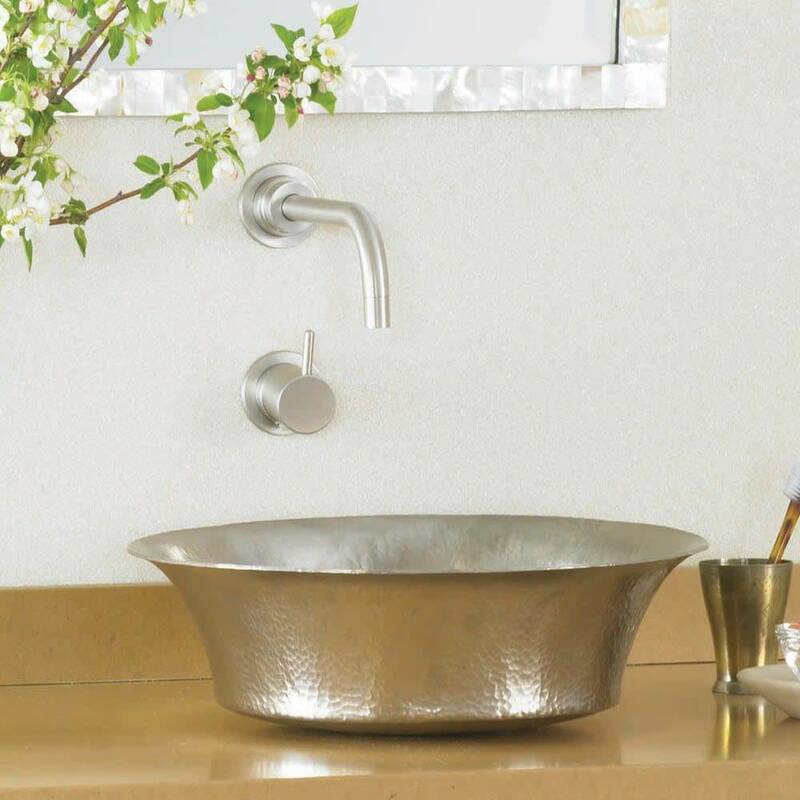 From the acclaimed Maestro Collection, Maestro Oval copper vessel sink is a remarkable work of functional art. 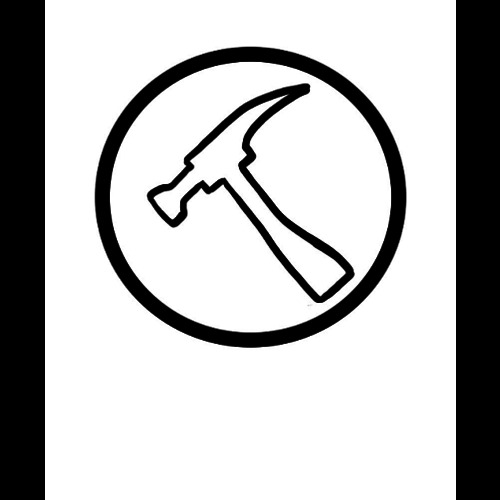 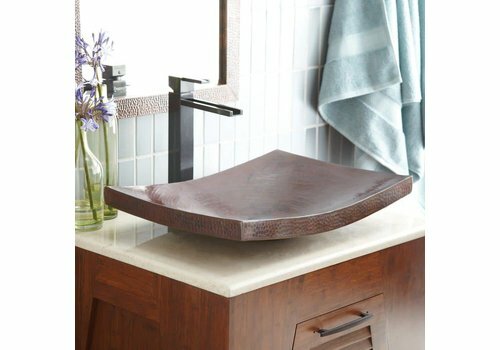 Remarkable for its unique oval shape and high-profile design. 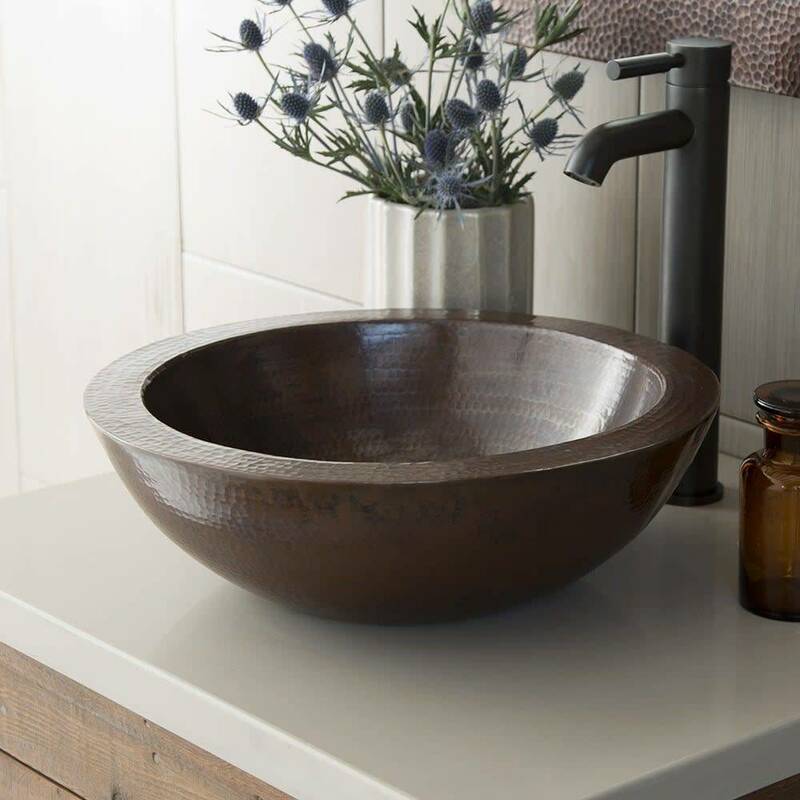 With striking curvature, generous dimensions, and hammered texture the Kohani copper vessel sink is the perfect fit for your contemporary design. 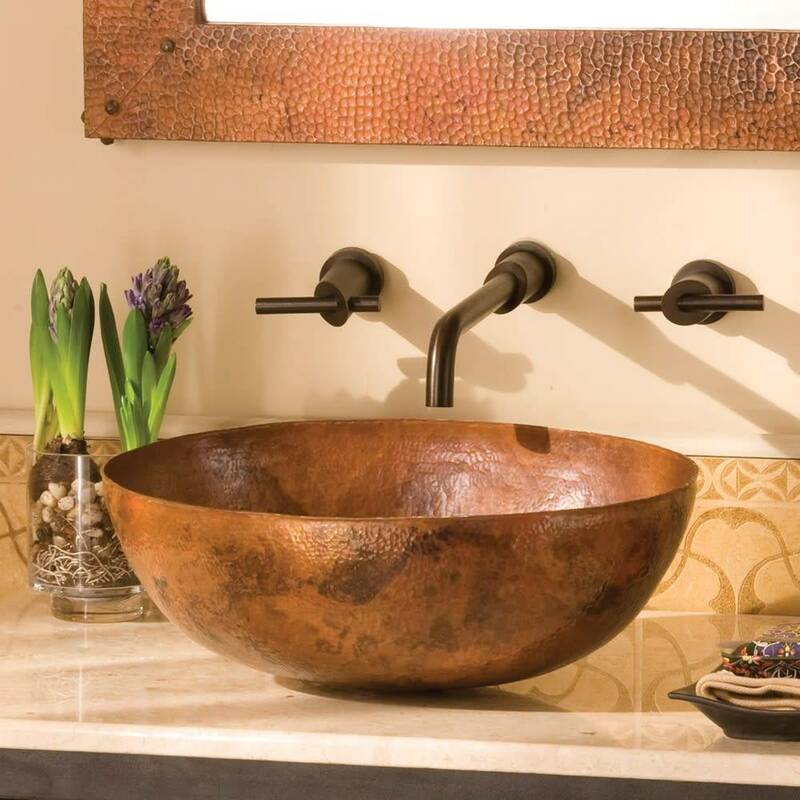 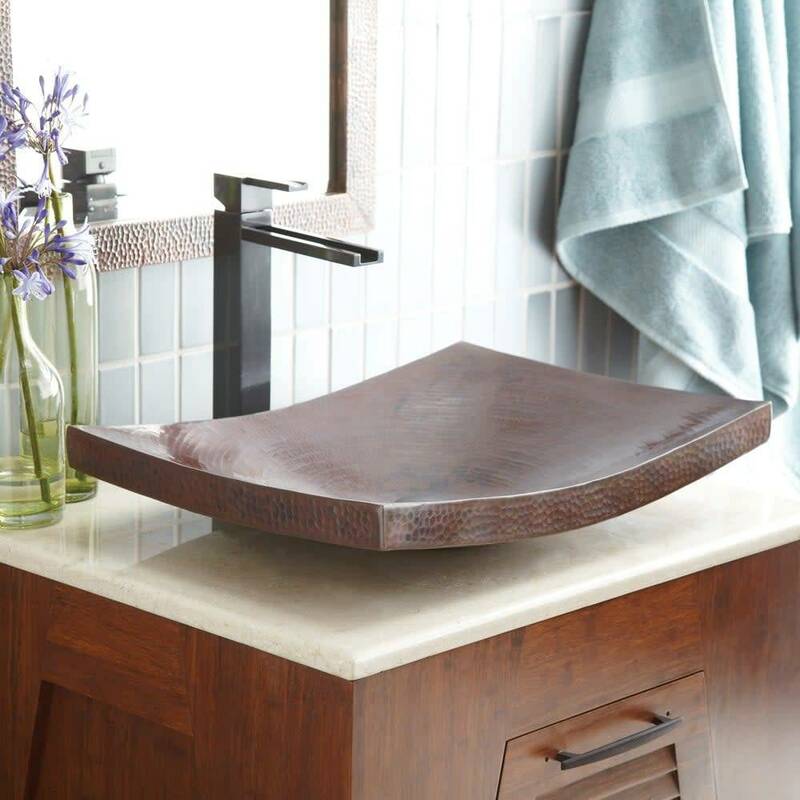 The Kohani copper bathroom sink is artisan crafted; forged of high-quality recycled copper.